"The Remnants of the Rechtsstaat is an essential companion to Ernst Fraenkel's The Dual State. Meierhenrich sets that analysis in its rich context and effectively shows its relevance to an understanding of contemporary authoritarianism. In an era in which the rule of law is increasingly under threat, this book is an immense contribution." "Jens Meierhenrich has written a wonderfully ambitious, challenging book. It is, at once, a sweeping, quite original history of the role of legalities in the troubled South African past and a provocative conceptual work that lays the foundation for a theory of democracy rooted in the rule/s of law. An impressively erudite, transdisciplinary study - one with broad comparative relevance - it will have a major impact on scholarship in law and society. Everywhere." 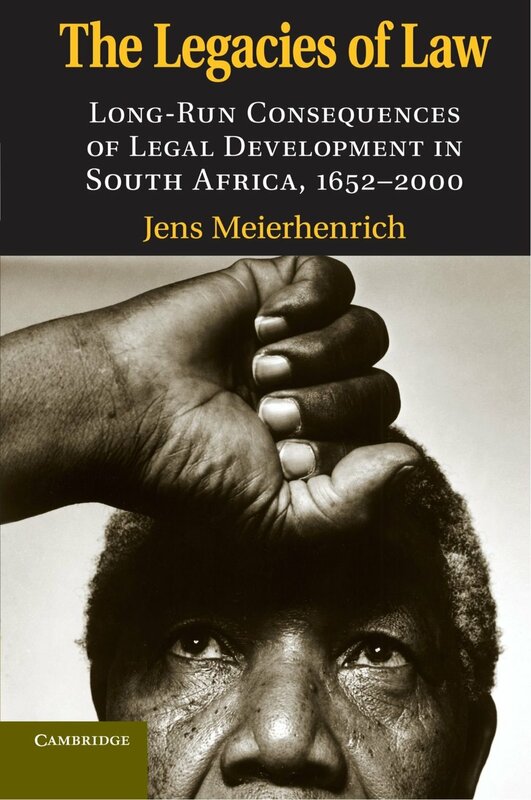 "In a highly scholarly work, that draws heavily on South African case law, legislation and legal literature, Jens Meierhenrich explores a contradiction in the South African apartheid state that informed South African jurisprudential discourse during the apartheid era. On the one hand, the apartheid regime invoked law as an instrument to impose and justify racial discrimination and political repression, but on the other hand it allowed relatively independent courts to administer justice in accordance with the enlightened values of the common law, a mix of English and Roman-Dutch law. Meierhenrich explains this contradiction in terms of a conflict between a prerogative state, which shows little respect for the rule of law, and a normative state, which respects the rule of law. His thesis, with wide philosophical underpinnings, provides a satisfactory explanation for the fact that when South Africa became a democracy in 1994 it was able to draw on its normative heritage in order to construct a model constitutional order." "This is a highly original and unusual book. In it the author analyzes the legal institutions that played a role in the history of racism in South Africa from 1652 to 2000. It is directed to help explain the role of law in South Africa's extraordinary transition from Apartheid to democracy. It makes fascinating reading for anyone interested in the manner in which law plays a role in social transformation." "Up to a few years ago most political scientists who studied law and courts knew nothing about comparative politics and most students of comparative politics knew nothing about law and courts. Now no student of either can afford to ignore the other. This book is central evidence for that proposition, essential reading for people in both fields, and an enormous step forward in our understanding of the role of legal institutions in political development in general and democratization in particular." "Drawing on Ernst Fraenkel's idea that some states combine the normative force of legality with the arbitrariness of prerogative, Jens Meierhenrich's examination of South Africa's transition to democracy illuminates fundamental questions about why - and, more important, how - the law's traditions can contribute to democratic stabilization even under apparently unfavorable conditions. More than an insightful analysis of an important case, this provocative work makes an important contribution to the theory of constitutional design." "In this provocative work, Jens Meierhenrich argues that the dual nature of the apartheid state - its combination of legalistic with repressive institutions - was essential to South Africa's transition to democracy. In showing how common legal traditions helped transform confrontation to cooperation, he sets a compelling research agenda for some time to come." "Meierhenrich provides a compelling interpretation of the South African transition to full democracy. His argument is beyond doubt a major contribution to our understanding of this remarkable historical moment." "This monumental compilation provides a compelling and up-to-date survey of genocide starting with its contested definition and historical patterns and moving to its widespread ramifications, including responses in law, media, and psychology. Jens Meierhenrich has done students, teachers, and the public a great service in collecting these sometimes little-known materials and capturing the state of a pivotal discussion in so comprehensive and responsible a way." "A multidimensional, complex, fluid, and ever-expanding concept, genocide can be bewildering and confusing. Here is a comprehensive yet eclectic guide that offers all you need to know." "With its comprehensive introduction and compilation of critical essays in the field, this volume will be a key resource for anyone - students, scholars, practitioners, or lay readers - interested in genocide." "This is a remarkable book. Meierhenrich and Pendas have assembled a wonderful and coherent collection. They offer a new understanding of political trials, one which illuminates both the juridical dimensions of political life and the way political meanings shape courts and trials. Broad in its historical and cultural sweep, impressive in its scholarship, uniformly persuasive, Political Trials in Theory and History will quickly become a must-read among students of law and politics." "All trials are political. Sometimes we see it, sometimes we don’t. This collection is a marvelous exploration of that often forgotten fact, demonstrating to us the need to be able to appraise the uses of the criminal law and legal process for many kinds of political ends, some of which we have reason to agree with, while others can only appear as highly dubious. This is an intelligent and timely intervention in a field too often shrouded in technicalities." "Criminal trials are fascinating, as Hollywood learned long ago. Political trials are even better: the stakes are higher; the participants loom larger. These fourteen case studies of major trials, organized in accordance with a framework that the editors provide, are genuinely illuminating and wonderfully engaging."